"The room was big and all amenities were excellent." 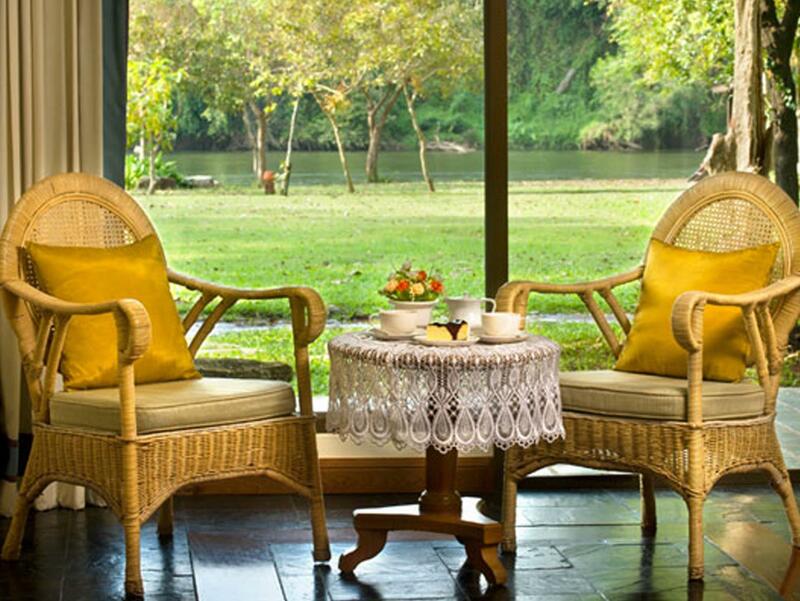 Have a question for Comsaed River Kwai Resort? "Resort has a beatiful garden and nice swimming pool and a small area to play and swim in the river." 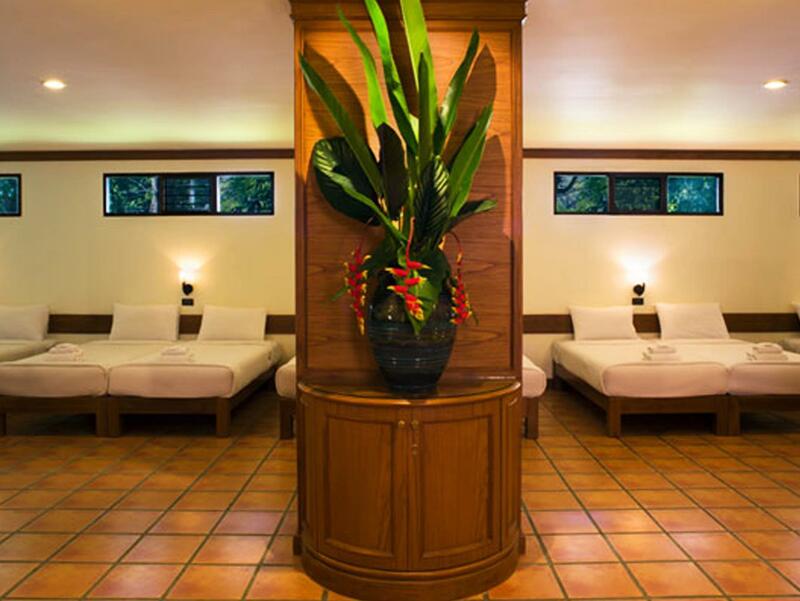 "The resort was beyond our expectation!" "The surrounding nature is very abundant, green and beautiful." "Staff are very attentive and helpful." This award-winning boutique resort offers 91 luxury rooms and is set among 40 acres of unspoilt nature along the River Kwai. 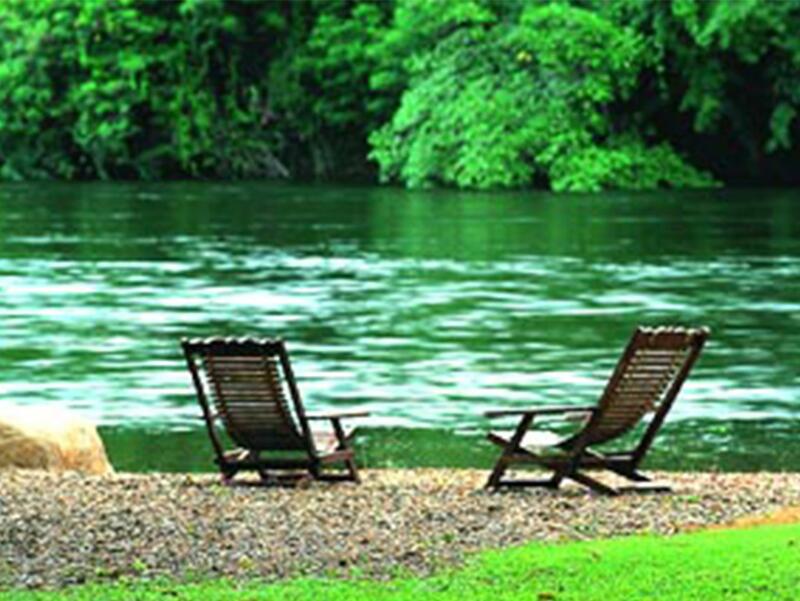 The Comsaed River Kwai Resort is 128km from Bangkok and just a 15-minute drive from Kanchanaburi. 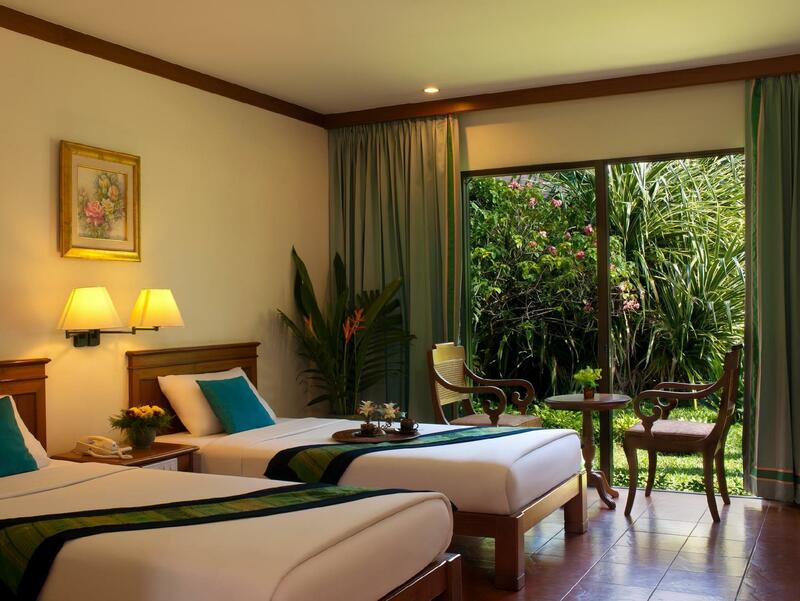 Guests are also just a short leisurely walk away from the famous River Kwai. Among its many facilities is a freshwater swimming pool. There are many pubs, restaurants, and coffee shops on location, including a coffee shop that has a terrace overlooking the magnificent courtyard gardens. For business travelers, there are various equipped meeting and banquet rooms that house from 15 to 100 people. 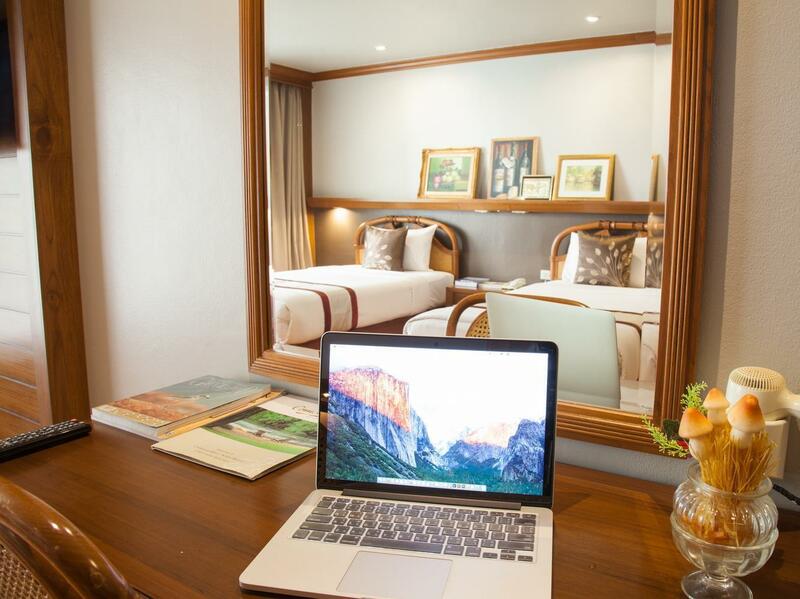 When you are ready to reserve your stay at the Comsaed River Kwai Resort, simply enter your dates on our secure online booking form and click to proceed. "Location is good - near Mallika City, some cool restaurants." This resort is huge, set in acres and acres of park land. Different types of properties are dotted around the area, leaving lots of space between them. The property borders the river Kwai. Or accommodation was spacious and clean. The breakfast offer seems to vary depending on the number of guests staying, but it was fine overall. Staff are friendly and helpful. The only caveat is the location: Unless you are content to spend some quiet time at the resort and only use their facilities you'll be fine. But if you want to explore the surroundings you really need a car or other mode of transport, the nearest shop is more than 3km away. Its not a resort. no facilities, breakfast was awful and practically no food . there is only one restaurant with lots of flies and food was below average. Luckily there was some dinner in the evening was arranged so we survived for the days we spent. Not returning to this hotel. I have to tell that the photos on shown on the website are not that attractive which is quite opposite to the real place. The resort was beyond our expectation! The surrounding nature is very abundant, green and beautiful. 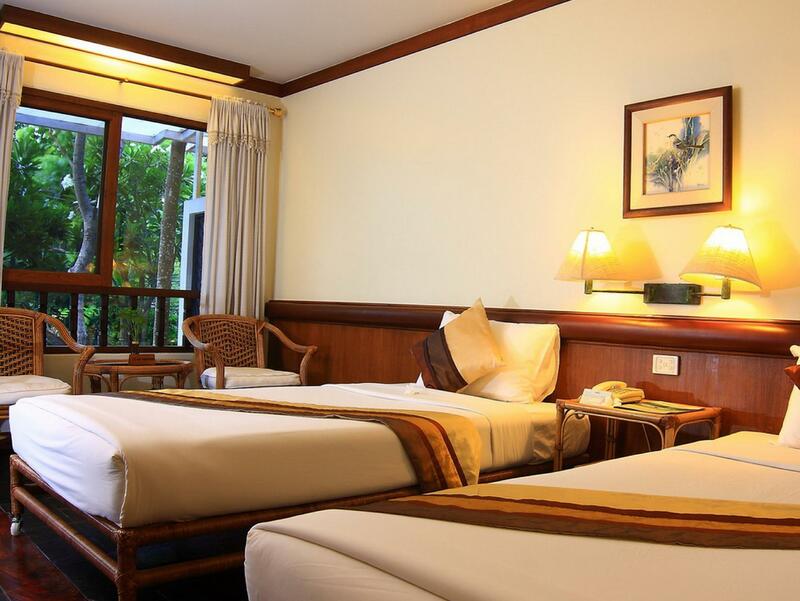 The room is very big and comfortable with a personal parking lot making us feel like staying at home. The breakfast area is very close to the natural space like garden, rice paddle (maybe) and human-made little fountain. The food line is clean and standard. But there some flies if you eat outside. If you are planning for a relaxing trip I'd recommend here, but it doesn't have a rafting provided you like some other resorts. Booked this hotel at last moment as other choices were not available. It turned out to be pleasantly surprising. 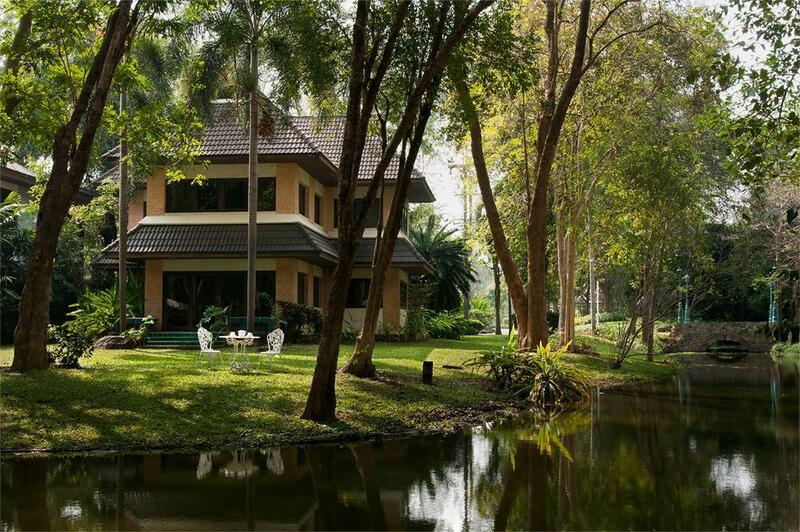 This resort is lush green, serenity place with rooms are nicely laid out. One of the best place to stay. This resort is big and somewhat well maintained. Nice garden and surrounding nature and river. But a little busy during weekend and public holiday. Btw, they have an albino buffalo, but be careful, He is NOT friendly. The place is very old. Old fashion of air-conditioner and TV. (although they are working. Air con gives coldness and TV has light and sound) By the way, there was no Wi-fi in family villa area while the cellphone network is not covered. We were now like in the island, has no connection with outsides. Small cockroaches running in the shower room. Check-out process took long time (even we have paid in Agoda already) as we needed to wait for housekeeper to check whether anything in the room have been lost or broken or not. This is yet another hotel that has so much potential but obviously doesn't get enough business to keep everything up to date. There is a lot of area to walk or ride a bike, lots of beautiful places to sit and relax, nice areas next to the river. The gardens and landscaping were very nice. However we were disappointed with the pool area. The main pool was closed and the kids pool was not well kept. It would be a wonderful 5 star resort if they had lots of guests but it seems almost deserted. We were the only guests the night we stayed, but we are used to this as the price is very low. The staff was amazing, room was nice, A/C was ice cold and they fed us a ton of food for breakfast. I would love to spend more nights there. Resort is located right on the river and surrounding with many trees. This made me feel like living in the nature. I really love resort's products which can buy from Souvenir shop e.g. bath gel with Thai flower smell (Dok-Peep). Food is fine with acceptable price. Room is cleaned and comfortable. beautiful enormous garden. Simple and classy. The water main pipe broke during my stay on Dec 14, 2017. There was no water supply from 6 am until 6.30 pm. The staff handling of the situation reflects the lack of serious training and management skills. On top of it all, the receptionist was rude and inefficient. We were kept waiting for the pipe being fixed without a contingency plan should the workman fail to fix the water pipe by night. We went without water for 12.5 hours. And my room rate was 2,900 Baht per night. This is a robbery. 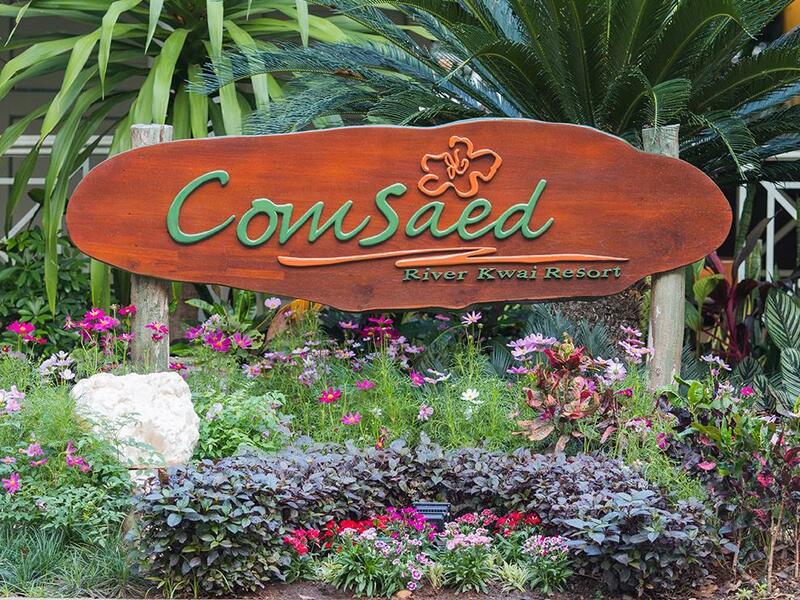 A short stay at Comsaed resort. Resort has a beatiful garden and nice swimming pool and a small area to play and swim in the river. Dinner and breakfast was mostly catered to the Thai. Close to Kanchanaburi by car and about 56 km (1 hour) drive from Erawan water fall. 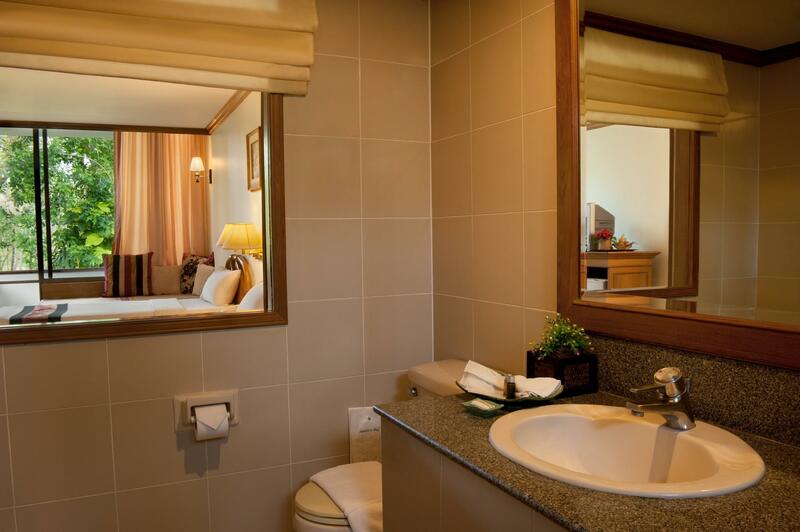 Overall satisfactory stay at an attractive price.